SAS=ISASS: ISASS is an international, scientific and educational society organized to discuss and assess existing strategies and innovative ideas in the clinical and basic sciences related to spine surgery to enhance patient care. ISASS is an international organization dedicated to spine professionals across the globe. Thousands of spine surgeons and related professionals are ISASS members. ISASS hosts annual conferences in the US and other countries around the world. Thousands of scientific papers have been presented at ISASS annual conferences and other educational events. Jean-Charles LeHuec presenting a scientific paper at ISASS15. Born from the trend in the spine industry to look at motion preservation as an alternative to fusion in the year 2000, The International Society for the Advancement of Spine Surgery (formerly The Spine Arthroplasty Society) - has worked to achieve its mission of acting as a global, scientific and educational society organized to provide an independent venue to discuss and address the issues involved with all aspects of basic and clinical science of motion preservation, stabilization, innovative technologies, MIS procedures, biologics and other fundamental topics to restore and improve motion and function of the spine for: surgeons, scientists, inventors and others. 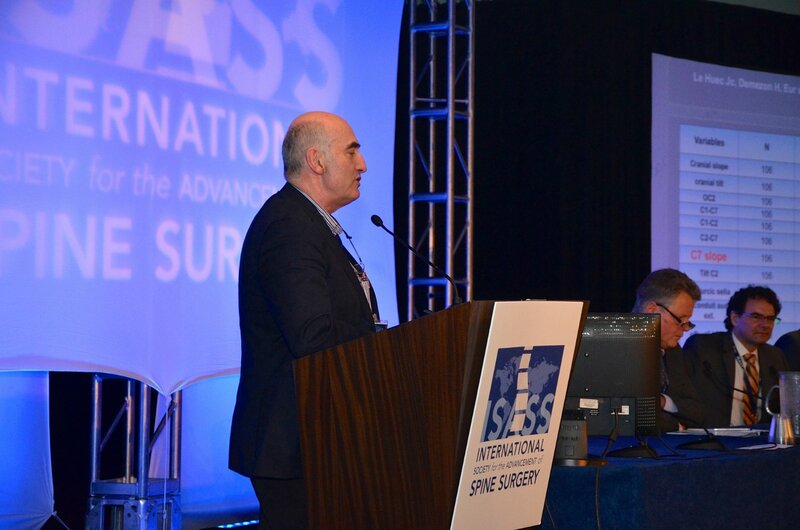 ISASS is dedicated to advancing major evolutionary steps in spine surgery.